A man was at large after robbing a gas station in Clairemont early Saturday. Photo via OnScene.TV. A man was at large after robbing a gas station in Clairemont early Saturday. 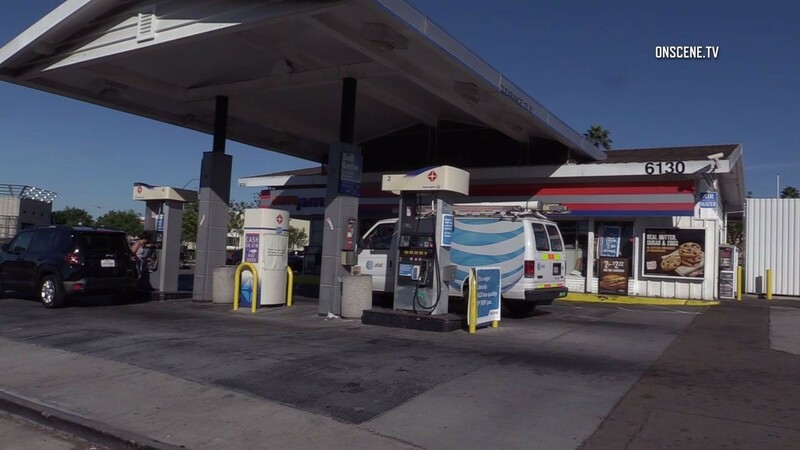 Just after 5 a.m., a man entered an Arco gas station in the 6100 block of Balboa Avenue, drew a gun and demanded money from the station’s clerk, according to Officer Tony Martinez of the San Diego Police Department. The clerk complied with the suspect’s demands and gave him money from the cash register, Martinez said. The suspect then left the scene on foot. Martinez said the suspect was described as a white man in his 30s, about 5-feet-10 inches tall, wearing a black hoodie and glasses. His face was partially covered, and he may have had a mustache, Martinez said. Robbery detectives are investigating the incident.